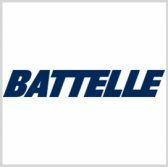 Battelle has won a contract to assist the Centers for Disease Control and Prevention in efforts to monitor and cut the risk of lead poisoning in children and households. The nonprofit said Tuesday it will provide software development and data management services for CDC’s Healthy Housing Lead Poisoning Surveillance System and Childhood Blood Lead Surveillance platform. The contract has a one-year base value of $1M and three options worth a combined $3M. State and local agencies use the web-based HHLPSS to manage environmental investigations, blood lead monitoring and individual follow-ups for case management. The second system is designed to collate data from HHLPSS and other surveillance platforms for non-federal health departments to produce reports. Darlene Wells, research leader of Battelle’s health analytics unit, said the company is proud to be part of a team that works year-round to reduce cases of lead poisoning, especially during Lead Poisoning Prevention Week. Battelle supported CDC’s Childhood Lead Poisoning Prevention Programs from 2003 to 2013.